Large companies are now turning to fleets of drones to increase productivity, improve safety, and deliver significant ROI. This expansion of operations poses new challenges, requiring software solutions with increasing scale, sophisticated controls, fleet management, and compliance tools. That’s why we’re excited to share major updates to our enterprise solution — allowing companies of all sizes to scale their drone operations and gain access to valuable drone data faster than ever before. Join DroneDeploy's own James Pipe, Product Manager, and Ian Smith, Business Development, App Market Lead, to learn about the latest team-oriented features, our newest enterprise-ready apps, see live demos, and get an an opportunity to get your questions about DroneDeploy answered. 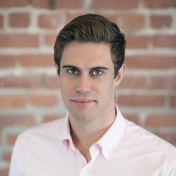 Ian currently leads the App Market team at DroneDeploy. He has extensive experience in aviation, drones, and technology startups—specifically, SaaS. He started his career as a commercial helicopter pilot and flight instructor but pivoted towards robotics and automation. 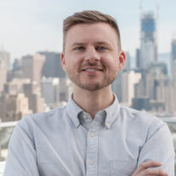 Ian is also the founder of Commercial Drones FM, a tech media company which produces a podcast that helps listeners explore the people, concepts, and business of commercial drones.